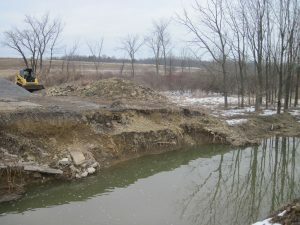 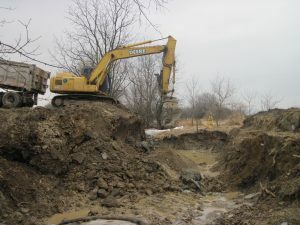 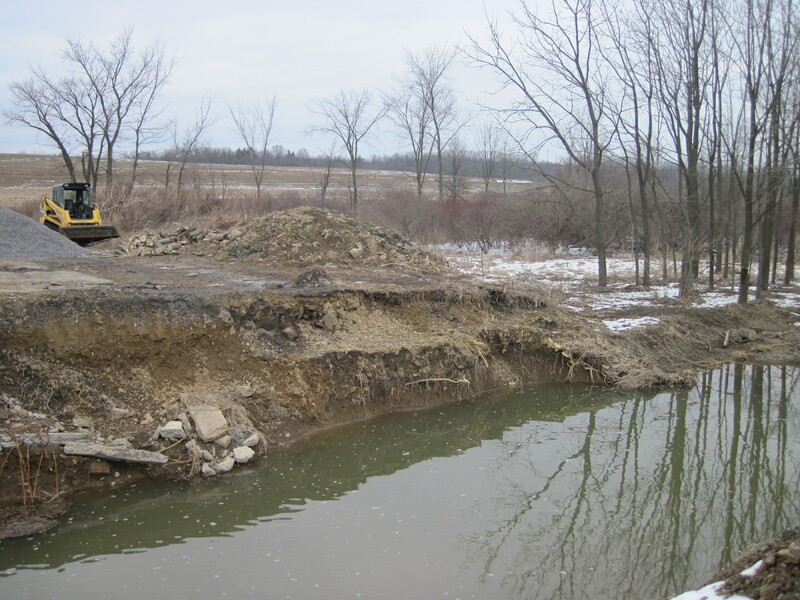 Active excavation of pit for future Aluminum Structural Plate (ALSP) Box Culvert looking upstream (west). 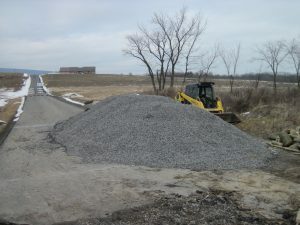 This project is located in Lewis Township, Union County. 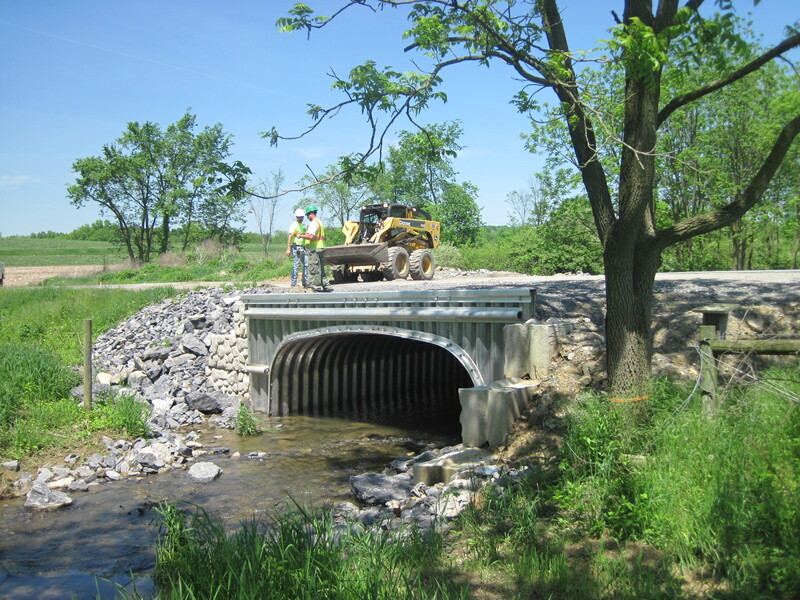 We’ve partnered with multiple municipalities to update many bridges and culverts, from full replacement to repair. 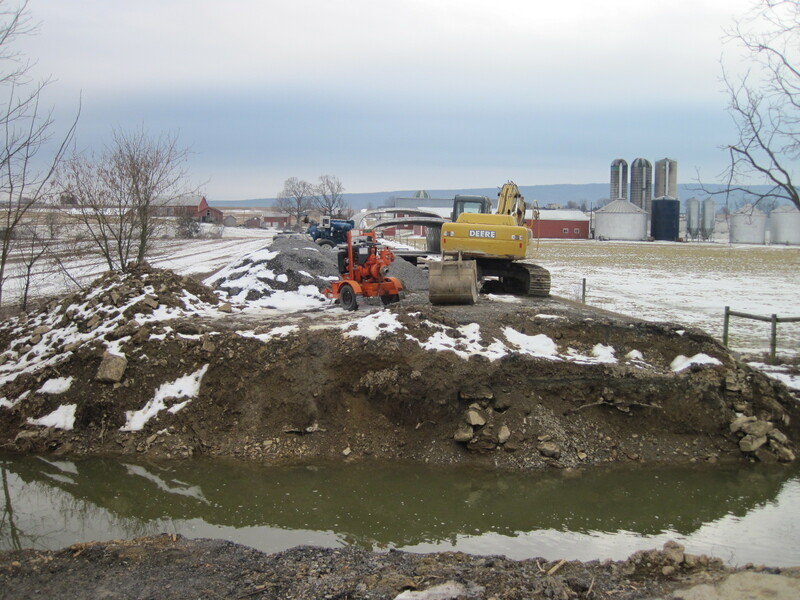 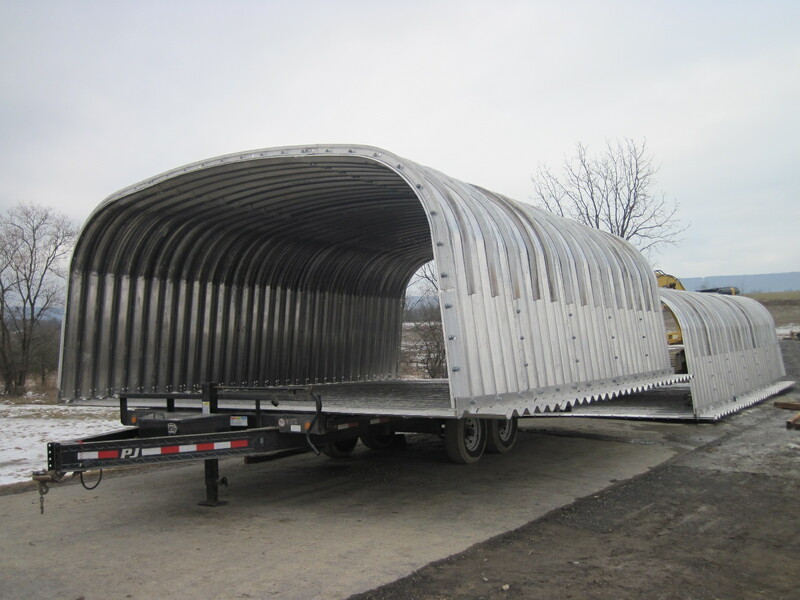 We also specialize in bridge inspections, completed as the Lycoming County Engineer for their Small Bridge Inspection program and separately for other municipalities. 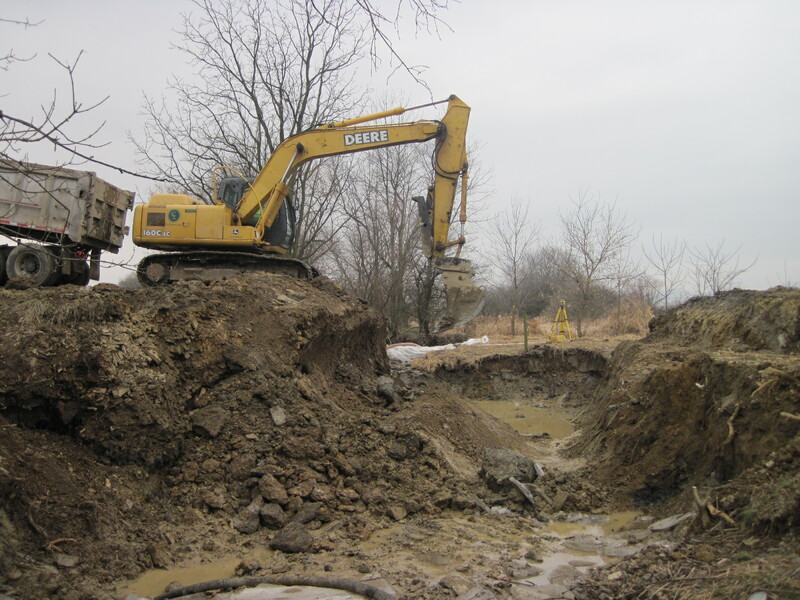 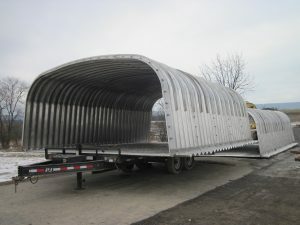 We have engineered a multitude of stormwater management systems, all in conjunction with the environmental permitting required to place an obstruction in a regulated stream. 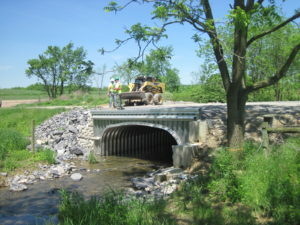 For all projects we have developed the stream hydrology, calculated the structure’s hydraulics, selected the appropriate structure (bridge, box culvert, pipe, etc. 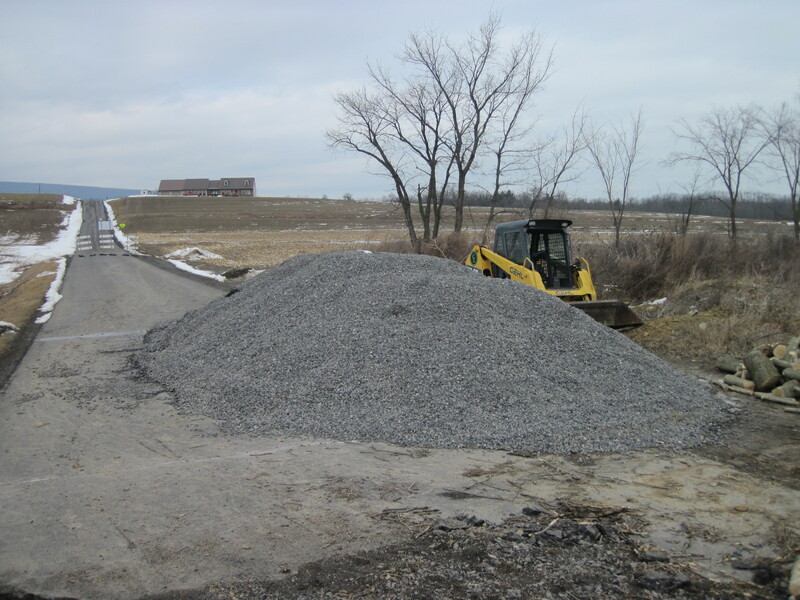 ), and secured environmental permitting. Some representative projects include the following.